Government departments and agencies have missed deadlines to analyse and develop almost half of all actions needed to reduce greenhouse gas emissions. A report from the Department of Communications, Climate Action and Environment says State bodies and departments were due to deliver 41 actions between 2017 and 2018 under the National Mitigation Plan (NMP) aimed at reducing emissions, but 20 are delayed. Even if all measures proposed in the National Development Plan (NDP) aimed at decarbonising the economy are implemented, we will still overshoot our 2030 emission targets by more than 20 million tonnes a year, the department said. A document called the Annual Transition Statement (ATS) 2018, which provides an overview of actions needed to reduce emissions and assist the State in meeting EU targets, reveals that even if climate actions committed to in the NDP at a cost of €22bn - and other proposed measures - are implemented, the State will miss both its 2020 and 2030 emission-reduction targets. Ireland currently produces around 60 million tonnes of emissions every year from transport, agriculture, the built environment, power generation and other sources. It said that the savings from all measures including actions in the NDP - which assumes that half-a-million electric vehicles will be on the road by 2030 and that 55pc of all power generated will be from renewable sources - will reduce emissions by 22 million tonnes. But there will still be a gap of some 25 million tonnes that will need to be addressed. 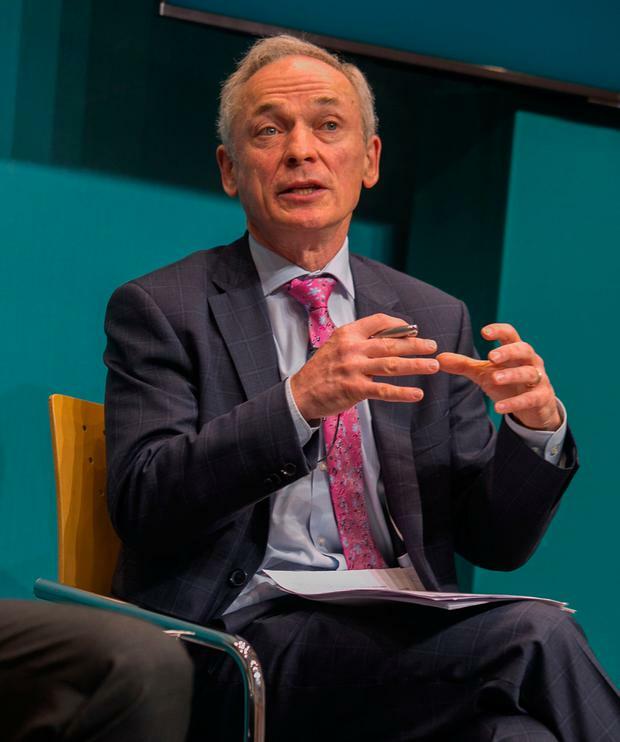 Climate Action Minister Richard Bruton said the ATS provided an "important overview". "While there is much to commend in the past year in terms of progress, we need to do more if we are to achieve our targets," he said. "I will be working with colleagues across all sectors to step up our response." The failure to analyse plans to reduce emissions comes as UN climate talks continue in Poland, aimed at developing methods to verify that countries are taking action to cut emissions and to encourage them to ramp-up ambition. The delayed plans include an examination of the carbon tax to include future increases, finalisation of wind energy guidelines, completion of a financial support scheme for renewable energy, a review of the national cycling policy and public transport services, and trials of buses fuelled by non-fossil fuel sources including electricity. In some cases, delays have arisen because measures have to be approved by the EU under state aid rules, but in others reports were not completed on time. In other cases, plans are ahead of schedule. The ATS also said a €3bn green bond issued in October may help finance climate-related projects at a cheaper interest rate.